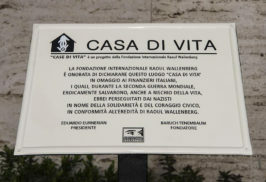 Rome, January 28, 2019 – On the International Day of Commemoration in Memory of the Victims of the Holocaust, the Raoul Wallenberg Foundation declared “House of Life” Guardia di Finanza (Financial police) at its “General Sante Laria” station in Rome, Italy. “Houses of Life” is a program created by the Raoul Wallenberg Foundation, an educational NGO originated in Argentina and headquartered in New York City. Its mission is to identify, pay tribute and disseminate the actions of institutions and individuals that offered a helping hand to many people persecuted by Nazism and its allies during the Holocaust. Since the commencement of the project, more than 300 “Houses of Life” have been identified and many of them have already been officially declared, mainly in Italy, France, Poland, and Greece. 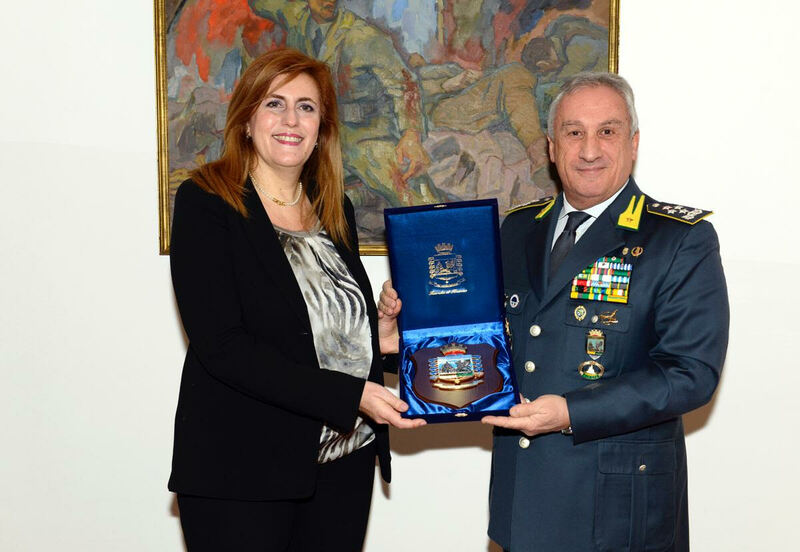 A moving ceremony took place on January 28, 2019, at the Guardia di Finanza “General Sante Laria” station in Rome, Italy, in honor of the heroic deeds of the officers who extended a helping hand to Jews persecuted by the occupying Nazis and its fascist ally. 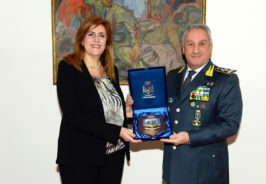 The General Commander of Guardia di Finanza, General Giorgio Toschi, together with the representatives of the Raoul Wallenberg Foundation, remembered the officers who at the risk of their own lives opposed the deportation of Jews. Many dignitaries attended the ceremony including the Ambassador of Israel to the Holy See, Mr. Oren David; the president of the Union of Italian Jewish Communities, Ms. Noemi Di Segni; the President of the Jewish Community of Rome, Ms. Ruth Dureghello; the Chief Rabbi of the Jewish Community of Rome, Dr. Riccardo Di Segni; and the Chief of Staff of the General Command, General Francesco Greco. On behalf of the Raoul Wallenberg Foundation, Vice President Silvia Costantini and Elena Castelli, coordinator of the “Houses of Life” project in Italy, attended the ceremony. Among the honorable officers we can mention Salvatore Corrias, brutally assassinated by the Fascist firing squad, after having saved hundreds of Jewish and non-Jewish citizens by helping them cross to Switzerland; Lieutenant Giorgio Cevoli, who opposed the Nazi fascist power while in command of Tenenza di Gironico in the Cuomo province; the officer Giulio Massarelli, who personally accompanied several anti-fascists and Jews to Switzerland, thus saving them from certain death; Lieutenant Giuseppe Pollo, who, in the city of Venice, hid and helped in all possible ways Aldo Temin and his cousin Adolfo Hanan; and Major Raffaello Tani and his wife, Jolanda Salvi, who hid Renzo Ajo in their home. The commemorative plaque in honor of the officers who bravely opposed the Nazi persecution saving hundreds of lives was placed in the Dobrej courtyard of the “Sante Laria” police station. 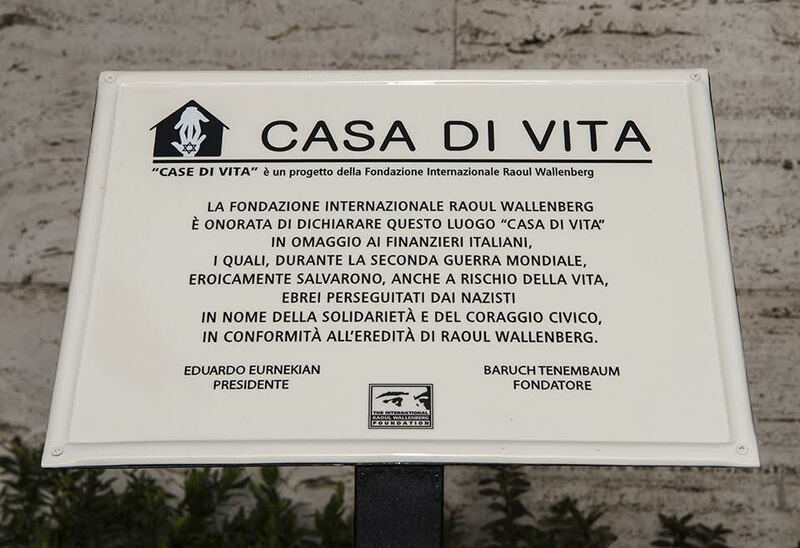 The plaque displays these words: The Raoul Wallenberg Foundation has the honor to declare this place as “House of Life” in honor of the Italian officers who serving in this police force during the Second World War saved Jews persecuted by Nazism, putting their own lives at risk. They put into practice the values ​​of solidarity and civic courage, ethical pillars of the mission of the Raoul Wallenberg Foundation. Eduardo Eurnekian is the president of the Raoul Wallenberg Foundation. Baruch Tenembaum is its founder.